2001 mit der Gründung der Weingüter im Priorat und im Montsant hat sich der erfolgreiche Architekt Alfredo Arribas einen langjährigen Traum erfüllt. Sein Erfolgsrezept sind alte Reben und ein schonender Umgang mit der Natur. Inzwischen gehören seine Weine nicht nur zu den beliebtesten unserer Kunden, sondern auch zu den bestbewerteten der Region. Seine Weine sind schlicht genial und kaum zu übertreffen. Es ist fantastisch, wie Alfredo Arribas es schafft, die Charaktere seiner alten Rebbestände ins Glas zu transferieren. Probieren! An ethereal wine showing black fruit, rosemary, thyme and earth undertones. Pepper, too. Medium-bodied with soft, low-intensity tannins and a fresh, golden-apple-like finish. Drink now. The 2013 Siuralta Gris is produced with the grey variation of Garnacha with some 10% Garnacha Blanca, and has a character than made me put it somewhere between Burgundy and Alsace, with some creamy aromas and a much sharper palate with high acidity and a long, mineral finish, quite polished but with good length. 1,400 bottles produced. The 2010 Trossos Tros Blanc is a pure Garnacha Blanca from 90-year-old, biodynamically farmed vines and is aged in 50% French oak. It has a creamy, almond and nougat-scented bouquet that stylishly combines the aromatic qualities of the grape variety with the new oak. The palate is harmonious, smooth and creamy, with pure scents of white chocolate, fresh apricot and quince leading to a delineated, precise, elegant finish. Excellent. Drink now-2016+. (100% garnatxa blanca, aged for ten months in large French oak casks): Light yellow-gold. Pungent, highly perfumed aromas of candied peach, poached pear, honey and vanilla, with a floral overtone and a hint of ginger. Fleshy and expansive on the palate, offering gently sweet orchard fruit flavors and a bracing lemon pith quality. Finishes smooth, sappy and long, with lingering spiciness. Color amarillo brillante. Aroma especias dulces, roble cremoso, hierbas de tocador, fruta madura, expresivo. Boca graso, sabroso, fresco, buena acidez. The 2008 Trossos Tros Blanc displays a similar aromatic and flavor profile but with slightly less concentration and length than the 2009. It will pair very well with rich fish and white meat courses. Color amerillo brillante. Aroma fruta madura, mineral, especias dulces, roble cremosa, hierbas de monte. Boca graso, carnoso, complejo, sabroso, retronasal ahumedo. Portal del Priorat makes an outstanding white wine called Trossos Tros Blanc. The 2009 Trossos Tros Blanc was tasted from a tank sample but will be in bottle by the time of publication. It displays notions of buttered popcorn, vanilla, melon, pineapple, and other tropical aromas. This nicely proportioned effort displays a firm acid structure in the glass, layers of flavor, and exceptional length. The 2012 Trossos Tros Blanc is pure Garnacha Blanca from a dry vintage that yielded 30% fewer grapes than previous years.  This is from a single plot of old head-pruned vines on chalky soils, fermented in three 500-liter oak barrels where it stayed with the lees for 10 months. I tasted this next to the 2013, and I found more depth here. I'm not usually a fan of warm vintages but it seemed to work for this plot. It's well-oaked but it has strong aromas of yellow flowers and plenty of leesy-nutty notes. The plate is compact with lively, juicy fruit and is supple. It should develop nicely in bottle. 1,681 bottles produced. There's single vineyard white 2013 Trossos Tros Blanc Mas de la Notaría, Garnacha Blanca from an ancient 0.7 hectare plot in the village of Masroig. It was pressed after one day cold soak and the must put to ferment in two 500-liter French oak barrels where it was kept with the lees for eight months with very soft bâtonnage. It feels a little closed and backward, a serious white currently trapped behind the oak, with serious aromas and an even more serious palate; it has volume and clout, and is clean, precise and focused. Built for the long term. I think this will age magnificently in bottle. Only 770 bottles were filled in September 2015. Color cereza intenso. Aroma fruta madura, hierbas silvestres, especiado, roble cremoso, mineral. Boca complejo, especiado, largo, balsamico, elegante, taninos finos. The 2011 Trossos Tros Negre is pure Garnacha from a single 85-year-old vineyard on chalky soils worked biodinamically. The wine is powerful and concentrated but has very good balance, with very good red fruit over a layer of cinnamon, vanilla and other sweet spices that should integrate with a little bit of time in bottle. The palate is medium-bodied, elegant and powerful, quite balanced and with good persistence, length and acidity. A powerful, tasty Garnacha. Drink 2014-2018. Really showy and aromatic, the single-vineyard 2012 Trossos Tros Negre is pure Garnacha from plot called Mas de la Notaria in the village of El Masroig that has a combination of sand and chalk and is biodynamically farmed. The vineyard was harvested twice at different points of ripeness and therefore two separate batches were fermented. The wine matured in French oak barrels for 11 months but the oak is unnoticeable, having added to the slow oxygenation of the wine without imparting excessive aromas. The nose is a heady combination of wild flowers and blood orange peel, small wild red berries and some earthiness. The palate is medium-bodied, with very refined tannins and very good balance. Perhaps a little light for what you expect from the vintage, but this is subtle, elegant and drinks quite well already. It should also develop nicely in bottle for a few years. 1,210 bottles produced. This shows beautiful aromas of seaweed, black ink, rosemary and asphalt. Fresh blackberries, too. Full body, fine-grained tannins and a salty, iodine-like finish. A beautiful wine. Drink now.